Twitter, Facebook, Google+, LinkedIn, YouTube, Pinterest… it seems there’s no end to social media and networking sites. 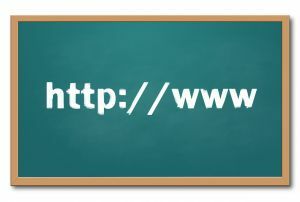 As these technologies have emerged, some educators have become increasingly frustrated with students who use these sites during class, or who clearly have the time for social networking when they don’t seem to have the time to excel in their studies. But some educators have taken the bull by the horns and found some innovative ways to integrate social media into the classroom. Many teachers use the class before a big test to quiz the students and offer study tips, but some of them are going a step further. To get the kids really involved, they’re asking trivia style questions on their subject matter, and letting students text the answers in. This allows them to instantly answer, and ensures that everyone gets a chance to share their opinion. It also engages students much more thoroughly and gets them excited about the process of learning. Most teachers are overworked and simply don’t have the time to meet with students once a week to offer extra help or give them the one on one attention they may need. A perfect answer to this issue? Online chats, or ‘hang outs.’ These can be done over Google+, Skype, or any number of other sites. The teacher and students can chat in real time and questions can be expertly answered. The advantage for the teacher is that they can do it from home, and eliminate the need to commute back and forth between home and school. The reality is that every student learns differently, and some simply can’t fully grasp a topic through lecture or reading alone. These students are often stimulated by movies or videos, but in the past instructors were left with few choices except 45 minute long movies – or longer. Now, with more and more educational companies offering shorter videos (some as short as a few minutes), instructors can stream a short clip on a topic that students are struggling with. Many students find that this small addition to the classroom makes a big impact. Some students are better at taking notes than others, but when the entire class Tweets the points they need to remember, everyone can benefit from those notes. Some teachers are embracing Twitter and allowing kids to Tweet as important points come up, or when they hear something they want to hear more about. These teachers then check the Tweets once in a while to see that their students are on track. Often when students don’t get interested in a story or subject it’s because they can’t relate to it. Savvy educators are taking care of that problem by assigning students tasks like creating a Facebook profile for a character in a book, or a famous person from history. It allows them to imagine what that person or characters life would have been like, and to find unique ways to relate them to their own life. Some educators, especially those who teach foreign languages, are using social media to have a ‘sister classroom’ in another country. Web chats can be set up, online profiles can be shared, and students can get to intimately know people from distant cultures. There are a ton of great ideas coming out from educators, and as social media becomes more engrained in our daily lives, we can expect to see lots more. Guest author Tracy Sharp enjoys writing on a variety of topics, particularly in the technology arena, as well as helping consumers find the best internet providers.